Heat oven to 375°F. Spray 13x9-inch (3-quart) glass baking dish with cooking spray. Cook pasta as directed on package, using minimum cook time; drain and set aside. Meanwhile, in large microwavable bowl, mix cheese cubes, 1 cup of the shredded cheese and the milk. Microwave uncovered on High 4 minutes; stir, then microwave in 30-second intervals until cheese melts and mixture is easily stirred smooth. 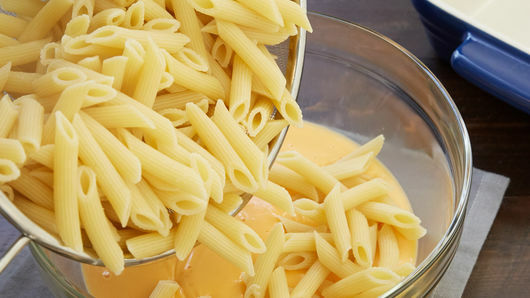 Gently stir pasta into cheese sauce. Pour mixture into baking dish. In large bowl, mix chicken, enchilada sauce, green chiles, butter and taco seasoning mix. 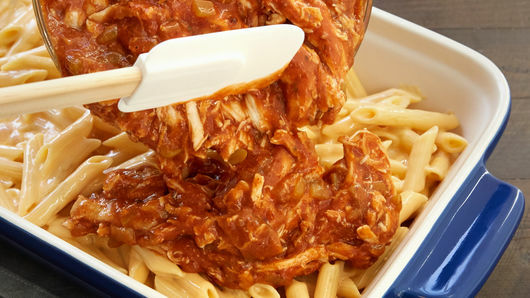 Spoon over pasta mixture in baking dish. Bake 28 to 32 minutes or until bubbling at edges (165°F in center). Top with remaining 1 cup shredded cheese. Let stand 5 minutes. Top with green onions. Serve with remaining ingredients. The quick microwaved cheese sauce in this recipe is great for many other applications as well. Toss with cooked pasta and serve as is, drizzle over cooked potato nuggets, or serve with tortilla chips as an easy nacho cheese sauce. 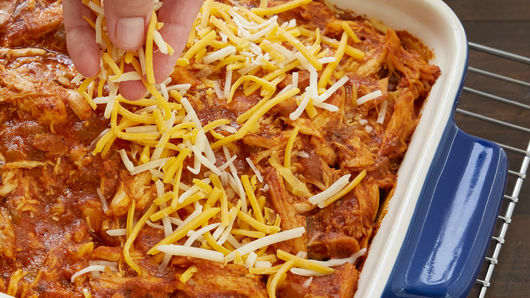 To keep this casserole family-friendly, we used Old El Paso™ mild enchilada sauce. 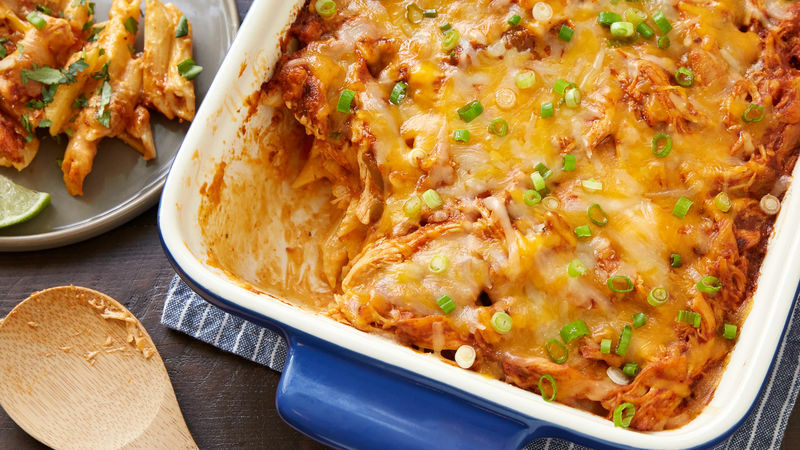 If you prefer more of a kick, opt for Old El Paso™ medium or hot enchilada sauce.